Suburbs of Richmond: Booth, Clodine, Crabb, Pleak, Rosenberg. Richmond is also known as: Fort Bend County / Richmond city. Their current mayor is Mayor Evalyn Moore. Zip codes in the city: 77406, 77407, 77469. Some of the notable people born here have been: Pat Zachry (baseball player), Javarris Williams (american football player), James Rodgers (american football player), Anthony Rendon (baseball player), and James Fortune (singer and record producer). Richmond is a city in the U.S. state of Texas and the seat of Fort Bend County, within Houston–The Woodlands–Sugar Land metropolitan area. As of the 2010 U.S. Census, the city population was 11,679. Richmond city boundaries are joined on one hand with Sugar Land and with the city of Rosenberg on the other hand.Even though it is the county seat, thus containing most of the local government offices, and the historic center of the area, it is actually one of the smaller cities in the area. Adjacent Sugar Land is the largest city in the county. It was noted on September 27th, 2018 that Ruth Alice Keogh (Rinck) died in Richmond, Texas. Ms. Keogh was 68 years old and was born in Denver, CO. Send flowers to share your condolences and honor Ruth Alice's life. It was revealed on June 28th, 2018 that Van William Isom died in Richmond, Texas. Isom was 70 years old and was born in Sparta, IL. Send flowers to express your sympathy and honor Van William's life. It was noted by San Antonio Express News on March 18th, 2018 that John Richard Fabrizo perished in Richmond, Texas. Send flowers to share your condolences and honor John Richard's life. It was written on January 1st, 2018 that Margaret Katherine "Kathy" Newton (Kindle) passed on in Richmond, Texas. Ms. Newton was 91 years old. Send flowers to express your sorrow and honor Margaret Katherine "Kathy"'s life. It was reported on December 20th, 2017 that Mary Alice Vaughn (Reed) passed on in Richmond, Texas. Send flowers to share your condolences and honor Mary Alice's life. It was written on April 4th, 2017 that Mary Kathryn "Doc" Dunford (Thegze) passed on in Richmond, Texas. Ms. Dunford was 71 years old and was born in Hammond, IN. Send flowers to share your condolences and honor Mary Kathryn "Doc"'s life. It was revealed on January 1st, 2017 that Doris E Maxwell (Boldman) died in Richmond, Texas. Ms. Maxwell was 73 years old and was born in Adams Co, OH. Send flowers to express your sympathy and honor Doris E's life. It was noted by Texarkana Gazette on July 22nd, 2016 that Nita Rosett (Ervin) perished in Richmond, Texas. Ms. Rosett was 99 years old. Send flowers to express your sympathy and honor Nita's life. It was revealed on July 22nd, 2016 that Nita Ervin Rosett passed away in Richmond, Texas. Rosett was 99 years old. Send flowers to share your condolences and honor Nita Ervin's life. It was reported on July 16th, 2016 that Linda "Alma" Anderson (Hennigan) perished in Fort Lupton, Colorado. Ms. Anderson was 84 years old and was born in Richmond, TX. Send flowers to express your sympathy and honor Linda "Alma"'s life. 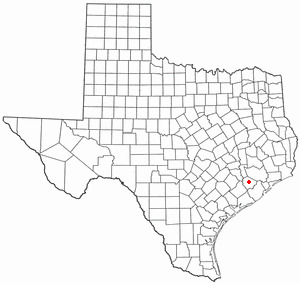 The city of Richmond is the county seat of Fort Bend County, Texas Bend County in the US state of Texas within the Greater Houston metropolitan area. Early residents of the city include many prominent figures in Texas lore such as Jane Long, Deaf Smith (who is buried in Richmond), and Mirabeau Lamar. The Mayor since 1949 has been Hilmar Moore. On August 16, 1889, the town was the site of the 'Battle of Richmond', an armed fight culminating the Jaybird-Woodpecker War, a violent feud over post-Reconstruction political control of Fort Bend County. Richmond city boundaries are joined on one hand with Sugar Land, Texas and with the city of Rosenberg, Texas on the other hand. Named after Richmond, London England, the town was among the 19 cities first incorporated by the short-lived Republic of Texas, in 1837. Funerals in Richmond, TX on Yahoo! Local Get Ratings & Reviews on Funerals with Photos, Maps, Driving Directions and more. Listing all funeral homes in Richmond, Texas so you can easily send flowers to any location (same day delivery) or find any funeral service. funerals in Richmond, TX 77469 on Yahoo! Local Get Ratings & Reviews on funerals with Photos, Maps, Driving Directions and more.